There is no shortage of “smart” lighting systems on the market these days, but from what I can tell, there are a few that stand well above the rest. I recently set up a Nanoleaf Aurora system in my office, and let me tell you, it’s magical. If you’re unfamiliar, the Aurora system is made up of triangular LED panels that attach to each other, easily mountable to your wall via accompanied Command strips. You can make basically any shape you want, bend it around corners, and really let your imagination flow freely when setting it up. 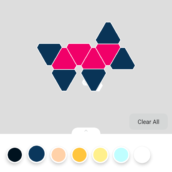 Just looking through Nanoleaf’s Instagram page really inspired me. 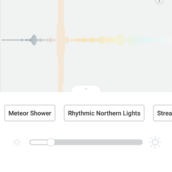 Once everything is installed, there is a single app to control the colors and effects you see, but what’s killer about Nanoleaf’s product, it works with Amazon Alexa and Google Home. With support for those services, you can control the system via your voice. For example, “Hey Alexa, Turn on Aurora,” and your lights will turn on. You can also set up commands for setting different lighting effects, too. Instructions on how to set up your voice commands are found on Nanoleaf’s website (Google Assistant, Amazon Alexa). Here’s my Droid Life Doge shape, killin’ the game. There is a single app controlling the system, downloadable for both iOS and Android. 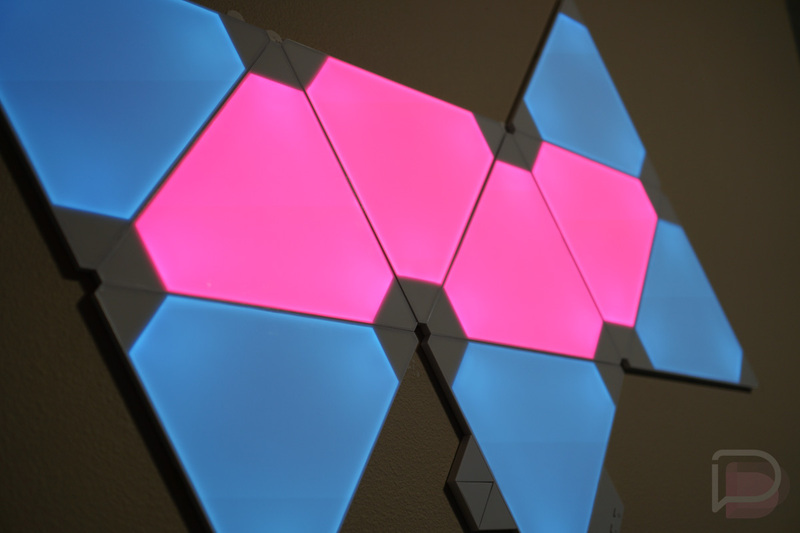 Inside, you pair your Aurora or any other Nanoleaf fixture to your WiFi, then get to work on creating scenes for your system, which is pretty straightforward. 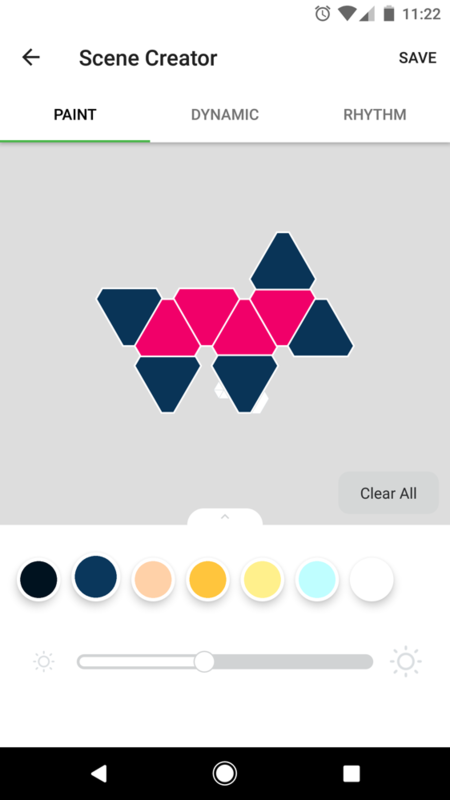 You can choose colors based on a certain palette or can work with a color wheel, customizing each individual panel to how you want it. 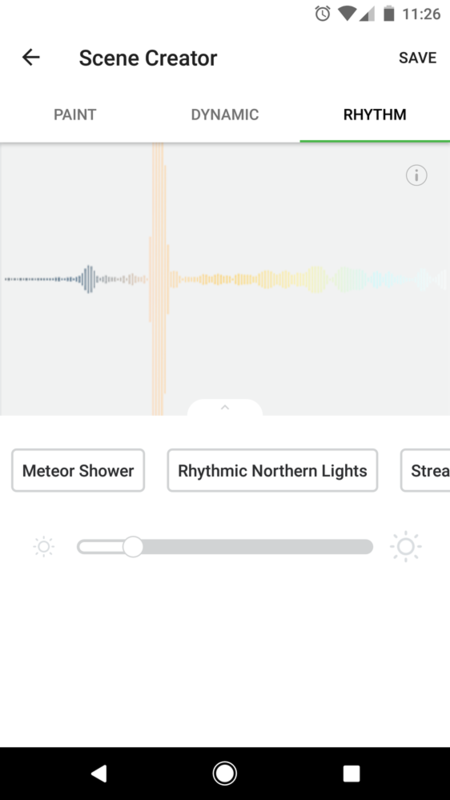 The app is where you program the desired effects, too. 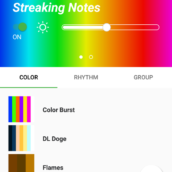 You will find options such as Flow, Wheel, Burst, and Fade, as well as preset color choices for you to play with. If you like a certain aspect of a preset, but want to change the colors, you can long press on any preset to edit it. You can grab the app by following the link below. Rhythm is an accessory launched just this week for the Aurora system, and basically, it works like magic. It’s a simple extension you plug into your installed system, which turns any sound/music playing in a room into an insane light show for your enjoyment. There’s no programming needed to set it up. Once plugged in, press the single button it has and you’re good to go. 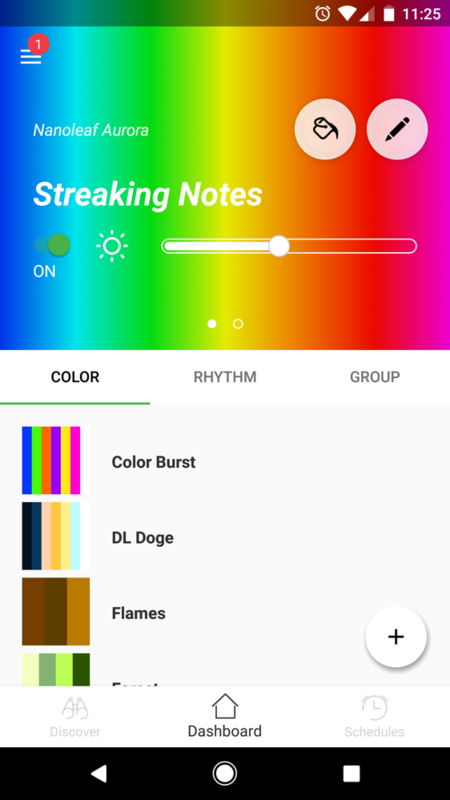 Inside of the Nanoleaf app you can program scenes for Rhythm, just in case you don’t want a constant barrage of different colors. You can set a wave or ripple effect, then also program the colors which are shown. If you have your lights set up in a particular order, and not just a dog shape like I have, you can get some crazy looking effects. The entry package for Aurora consists of 9 LED panels, with the price varying at retailers. Amazon has it on Prime for just $180, while Best Buy has it for $188. Additional panels can be purchased in 3-packs, priced at $60 a pop. This means that if you want a really big design to go up, it’s a pricey system. From my experience, the 9 panels that the starter kit has is sufficient, but I would like to recreate the DL logo on my wall, which means I’ll probably need to pick up just a few more panels to make it look right. That’s another thing, though. Because the box comes with Command strips, please be careful when removing this system from your wall to make new shapes or move it to another room. Depending on your room’s paint, these strips are strong enough to take the paint with it. Just be extremely careful during the removal process — slow and steady. 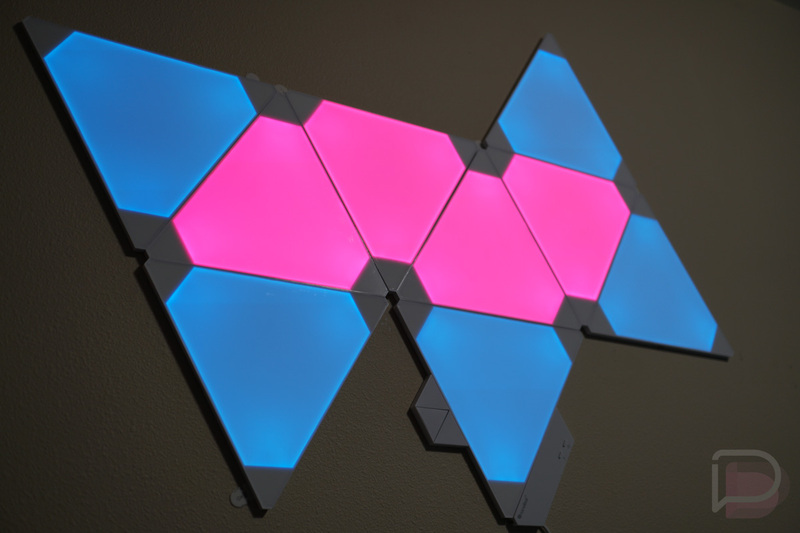 As for the Rhythm accessory, it is priced at $50, available via Nanoleaf’s store. Thanks to Nanoleaf for providing this system for me to review.